At first glance, it might seem there is a dearth of models available to comprise a list of the best American sport sedans for 2016. However upon closer examination, you’ll find there are more than enough. An interesting thing has happened within the subset of American cars over the past couple of decades. While comfort and quiet still play a rather significant role in the personality of the American car, performance and handling now stand in equal stead. 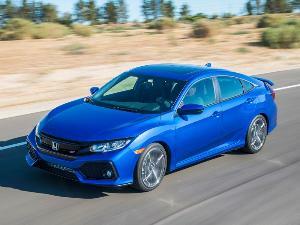 Thus, while a number of models may seem to be more about comfort and luxury at first glance, they also nicely fill the bill for those among us who enjoy driving an agile and responsive automobile. In other words, American cars have changed y’all! Here, check them out. 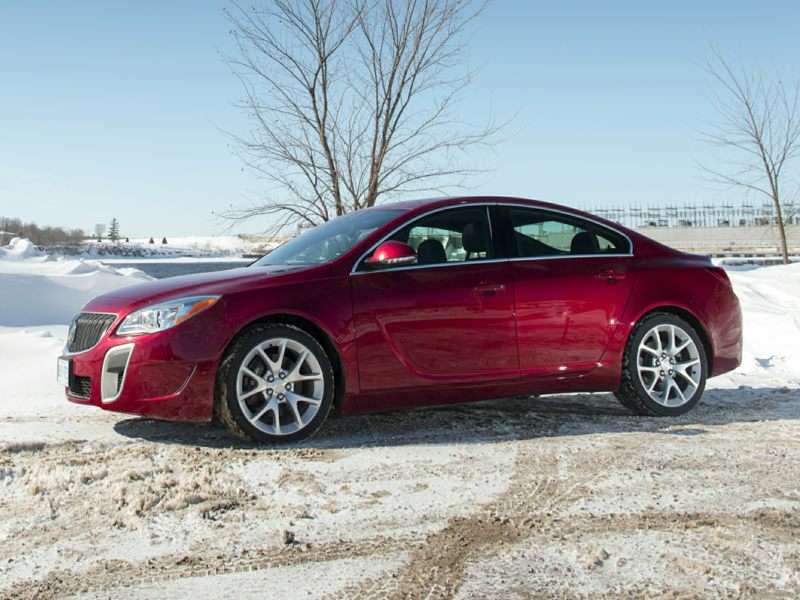 One of the best American sport sedans for 2016, Buick’s Regal GS is a remarkably competent mid-sizer with a European flair. In fact, it could be argued the Regal is as much German as American, owing to its Opel roots. Either way, Buick is one of America’s longest running nameplates. 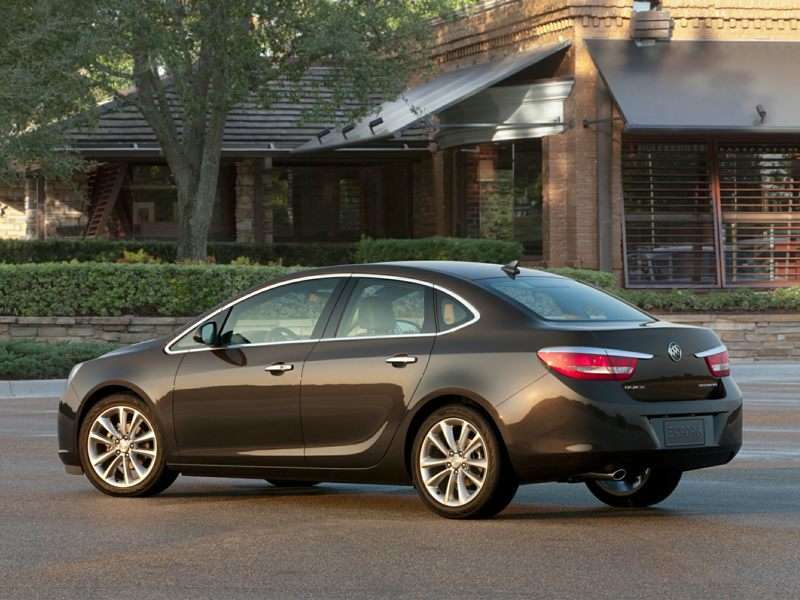 With Regal, you’ll find efficient turbo power, an abundant roster of standard equipment, cutting edge tech features and a stylishly attractive exterior all numbering among the attributes of Buick’s aggressive-looking four-door. Power comes from a turbocharged 2.0-liter four-cylinder engine with 259 horsepower and 295 ft-lbs of torque. You’ll get a six-speed manual transmission as standard with front-wheel drive. A six-speed automatic and all-wheel drive are offered as options. The Buick’s well-sorted powertrain is a willing partner when it comes to performance-oriented operation. Yet, the Regal GS also offers a quiet and composed ride as well as an impressive interior treatment. Pricing starts at $39,810. Generally speaking, adding the word “Turbo” to any car’s model name automatically makes it seem faster and more capable. In this case though, it really does make the car more capable. Buick has a strong reputation for performance-oriented models going back decades. One of the best American sport sedans for 2016, the Buick Verano Turbo offers excellent handling with more than enough power to keep things interesting. It also delivers a broad array of cutting edge safety and tech features including WiFi hotspot capability. Something of a sleeper, while the Verano is good looking, it’s more low-key than flashy. Nevertheless, the Buick is handsome and hosts a nice interior treatment. Power for the turbocharged version of the Buick Verano comes from a 250-horsepower 2.0-liter four-cylinder engine with 260 ft-lbs of torque and a choice of a six-speed automatic or a six-speed manual transmission. Verano Turbo pricing starts at $29,215. 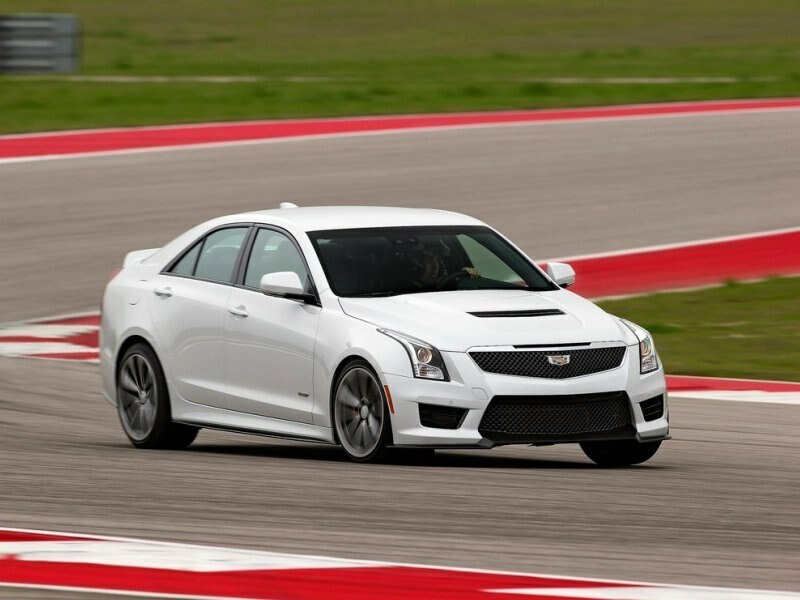 One of the fastest of the best American sport sedans for 2016, the first ever Cadillac ATS-V is a perfect example of the contemporary American high performance car. 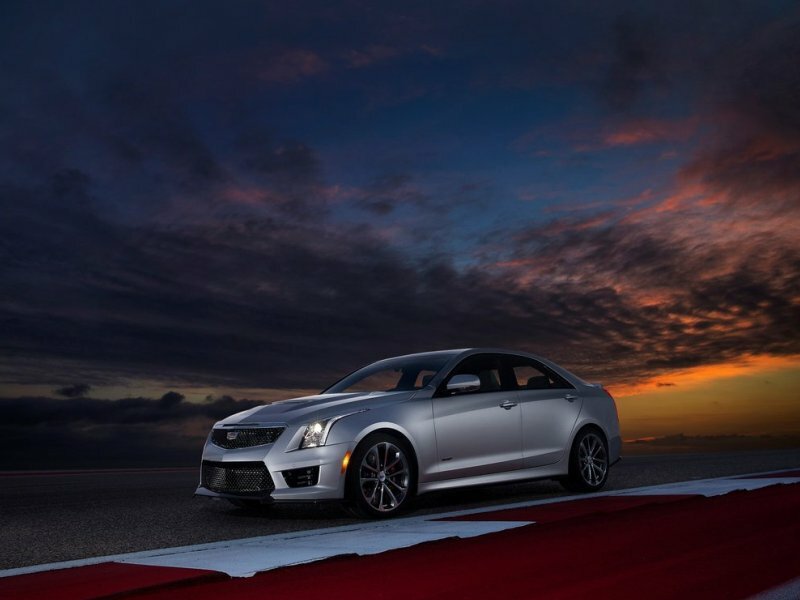 The ATS-V runs a turbocharged 3.6-liter V6 with 464 horsepower and 445 ft-lbs of torque. This is routed to the rear wheels through a six-speed manual, or an eight-speed automatic transmission. Screamingly fast in a straight line (Cadillac says 3.8 seconds to 60), the ATS-V is also well balanced and delivers outstanding grip in the corners—thanks in part to the magnetic dampers in its suspension system. This modern American sport sedan is fully competitive with anything the Europeans can bring; including BMW’s highly vaunted “ultimate driving machines”. 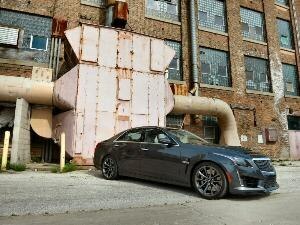 Further, being a Cadillac, the ATS-V packs a host of cutting edge luxury and tech appointments. Pricing starts at $60,465. 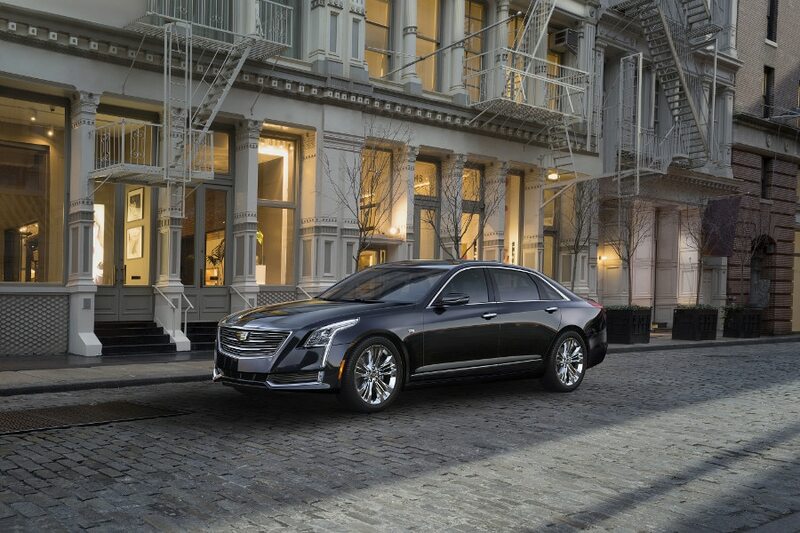 The all-new rear-wheel drive 2016 Cadillac CT6 is absolutely cutting edge in every way. Solidly earning its place among the best American sport sedans, the newest Caddy rocks aluminum intensive construction to save weight, magnetically adjustable shocks to provide a smooth and comfortable ride while preserving handling, and a whole heap of good old American luxury—all in a package weighing just under 3,700 pounds. Incredible you say? Yes, we agree, it is rather incredible. Even more so is the choice to fit a twin-turbocharged 3.0-liter V6, making CT6 the first Cadillac flagship model in history to eschew a V8. However, with 400 horsepower and 400 ft-lbs of torque from the V6, we’re pretty sure it won’t be missed. Pricing TBA. After a one-year hiatus, the 2016 Cadillac CTS-V comes roaring back with even more performance and sophistication. 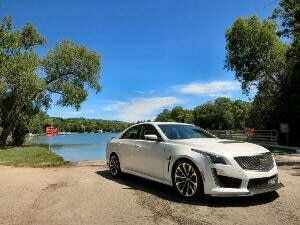 While this is a list of the best American sport sedans, the new Cadillac CTS-V is also on par with the best of the best from around the world. 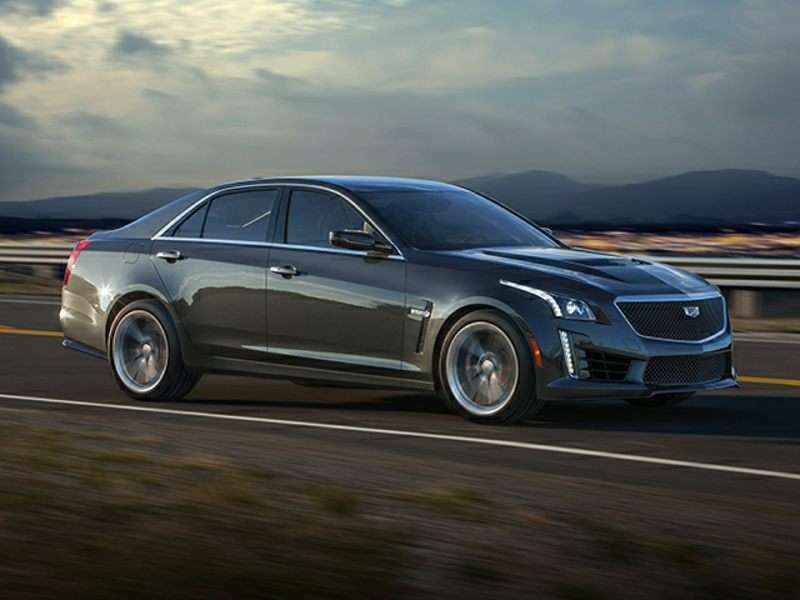 First of all, the CTS-V’s supercharged 6.2-liter V8 delivers 640 horsepower and 630 ft-lbs of torque, making this the most powerful Cadillac sedan ever offered—and one of the most powerful sport sedans in the world. If you’re charting this out on a spreadsheet (yeah, we see you, and we know who you are), this is 84 horsepower and 79 ft-lbs of torque more than the 2014 CTS-V’s engine was capable of generating. The rear drive powertrain uses an eight-speed automatic transmission with paddle shifters. The 200-mph Cadillac streaks from zero to 60 in 3.7 seconds. Pricing starts at $83,995. 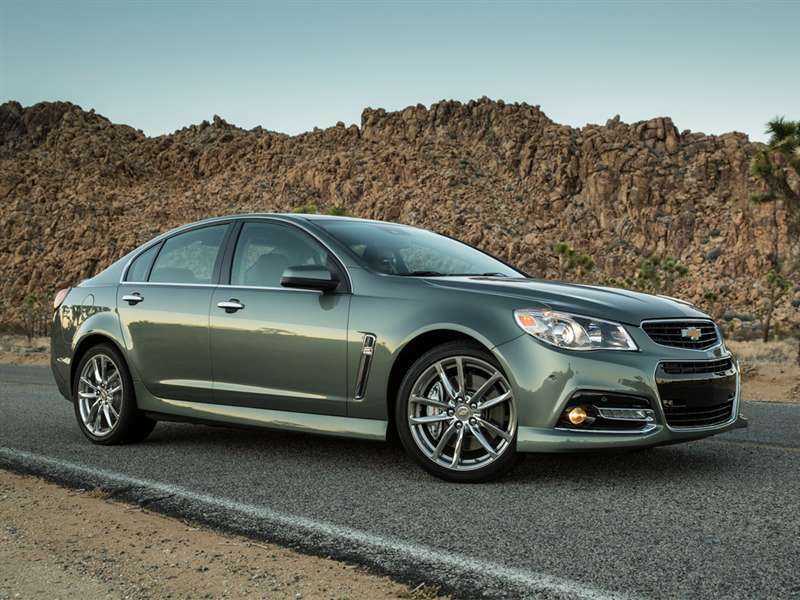 The Chevrolet SS is the car enthusiasts in need of four doors have clamored for since time immemorial. 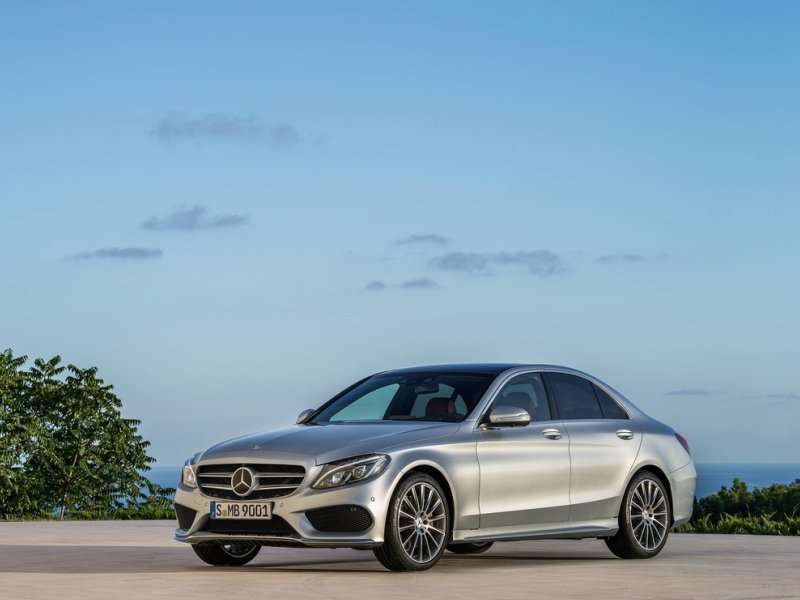 It’s also one of the best American sport sedans for 2016. Consider it, a Corvette-sourced engine good for 415 horsepower, huge Brembo brakes, a magnetorheological suspension system, an available six-speed manual transmission, rear-wheel drive, and an extensive list of contemporary comfort and convenience features; all wrapped in an unassuming—yet handsome—body. And best of all, it comes at a price most folks can deal with. Pricing starts at $45,745. Among the best American sport sedans, the Chrysler flagship is also probably the most traditional American sedan. Its 5.7-liter V8 makes 363 horsepower and 394 ft-lbs of torque, which is fed to the rear wheels through an automatic transmission. Further, the big Chrysler is exceptionally smooth and quiet, offers an upscale interior environment, and features a wealth of standard features. However, unlike the large American land yachts of the “Leave It To Beaver” era, the 300 corners and brakes just as well as it goes. Plus, you’ll get modern amenities such as keyless entry and ignition, an 8.4-inch touchscreen interface, and dual-zone automatic climate control. 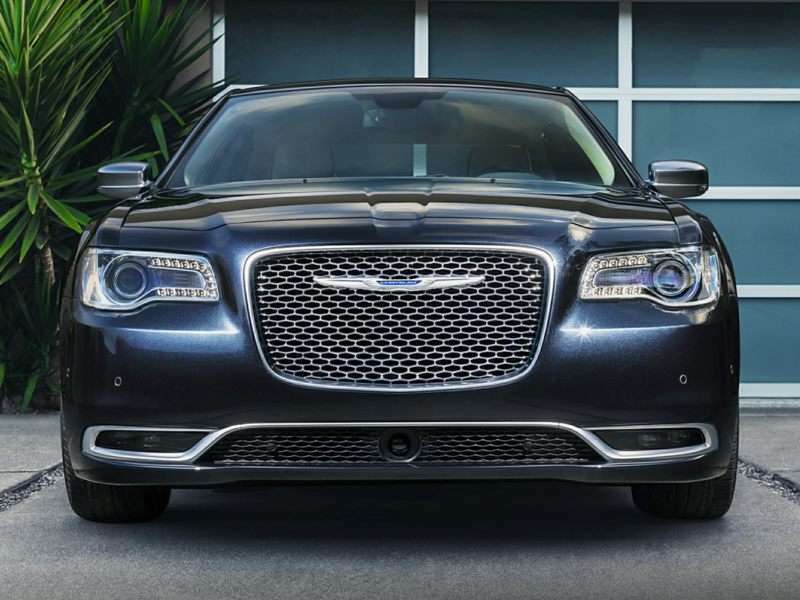 The 300C’s pricing starts at $38,070. 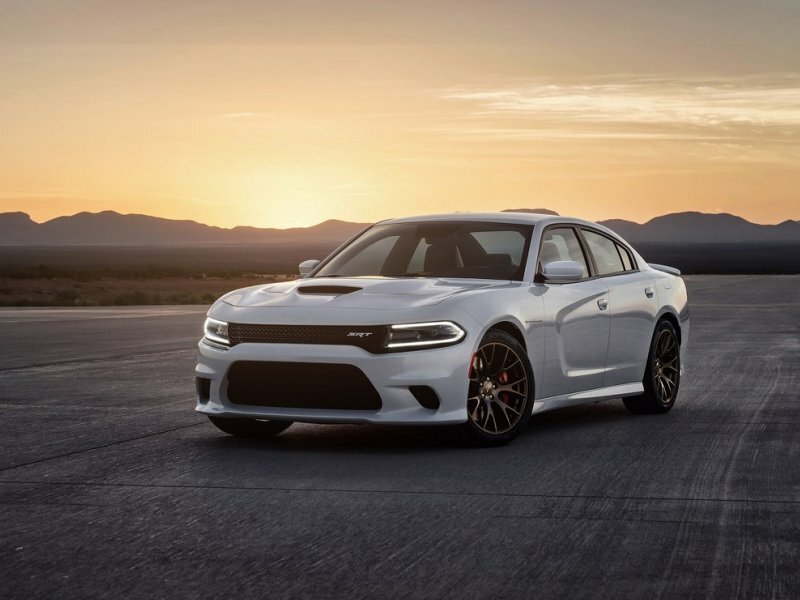 Yeah, yeah, yeah, we know—the 707-horsepower supercharged V8 fitted to the Charger makes it the most powerful production four-door sedan ever offered—which automatically makes it one of the best American sport sedans. Exceptionally spacious with handsome styling and an affordable price, the agile Charger is also one righteous family sedan. 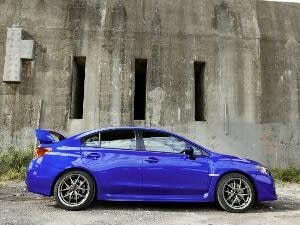 Plus, there’s a 292-horsepower V6 option, as well as pair of other V8s with 370 horsepower and 485. An eight-speed automatic transmission is employed for all Charger models. Standard features include keyless entry and ignition, automatic headlights, dual-zone climate control, and a touchscreen interface. Dodge Charger pricing starts at $27,995. The smallest of the best American sport sedans for 2016, the Dodge Dart GT cuts one of the more dashing figures in its competitive set. While much of its beauty can be attributed to Dart's Alfa Romeo cousin, it looks unique. 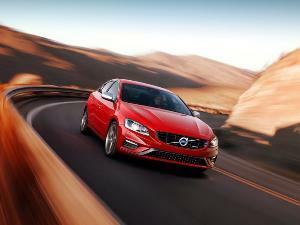 The 2.4-liter four-cylinder engine makes 184 horsepower and 171 ft-lbs of torque. A six-speed manual comes standard, while a six-speed automated manual transmission is optional. While not the fastest car on this list, it is quite fun to drive nonetheless thanks to its aggressive suspension tuning, 18-inch wheels, and a broad array of performance-oriented options. 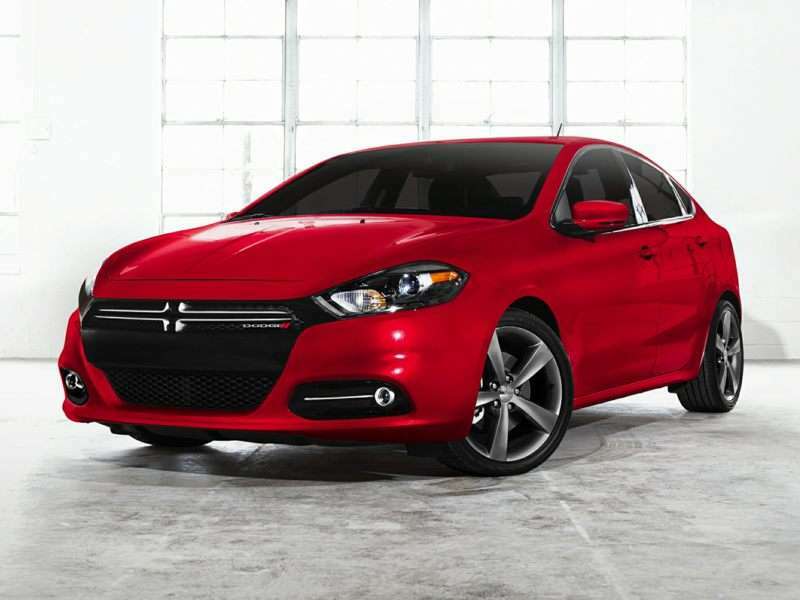 Dodge Dart GT pricing starts at $21,645. Perhaps the first true sport sedan with an American nameplate, the original Ford Taurus SHO of 1989 was a real eye-opener. Granted Ford had to enlist help form Yamaha to come up with the high-winding transversely mounted V6, but it was one sweet powerplant. These days, Ford’s engineers are quite capable of turning out slick running sophisticated engines on their own, as the 365-horsepower turbocharged V6 in the contemporary SHO bears out. Today’s Super High Output Taurus runs an all-wheel drive powertrain, and benefits from 350 ft-lbs of torque. 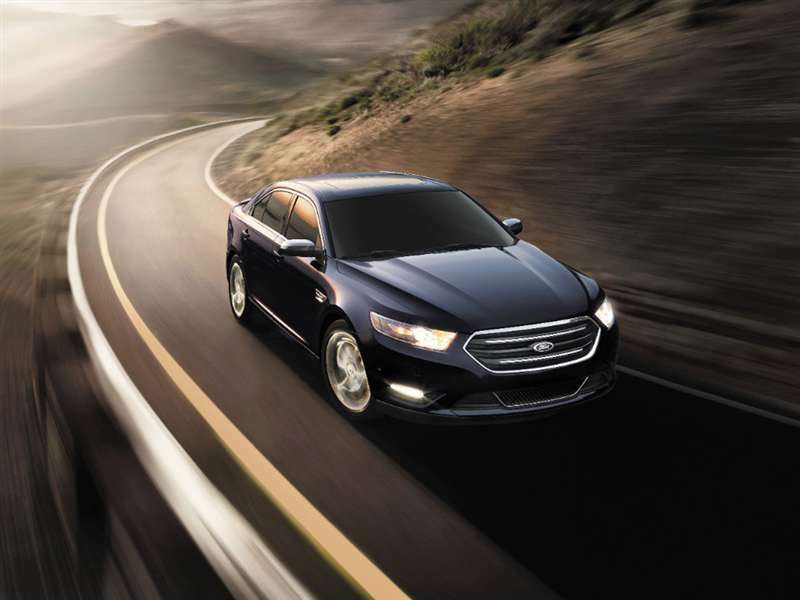 The OG of best American sport sedans for 2016, Taurus SHO pricing starts at $40,220. If you’re surprised to find an electric car on this list of the best American sport sedans for 2016, contain yourself. When it comes to high performance electric cars, America (thanks to Tesla) is way out ahead of much of the rest of the world—particularly in the sport sedan category. The all-wheel drive 691-horsepower Tesla Model S P85D is capable of running an 11-second quarter-mile at 114.6 miles per hour and zero to 60 in 3.1 seconds. 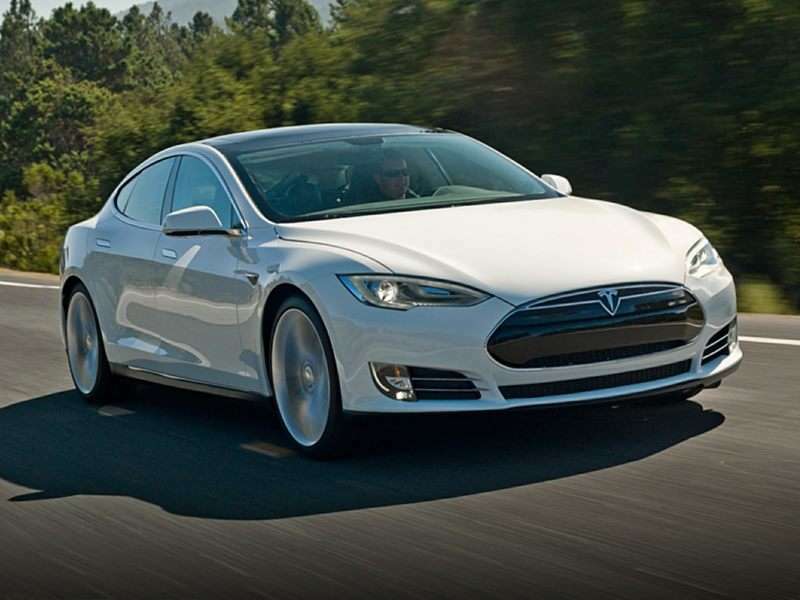 One seriously fast car, the Tesla Model S P85D is also equipped with some very cool tech. The door handles pop out to greet you as you approach the car, and the lithe Model S will even bring itself out of the garage on demand. Absolutely cutting edge in every way imaginable, the brilliant Tesla Model S P85D’s pricing starts at $105,000.